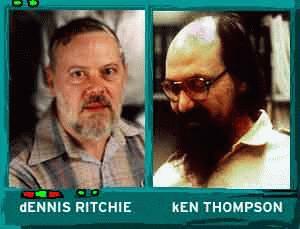 Dennis Ritchie and Ken Thompson. They designed Unix back in 1969 mostly as a personal research tool. The design decisions they made back then were the key to the fact that the Operating System lasted 30 years without major changes in the design. Ritchie is also responsible for the C programming language, which he designed along with Brian Kernighan. 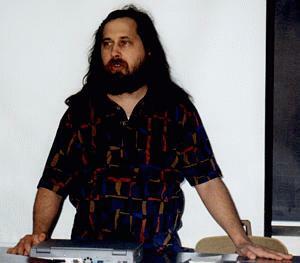 Richard Stallman founded the Free Software Foundation in the early 80's. His goal was then and still is that all software should be free. 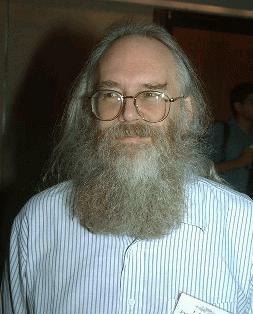 He is the pricipal author of Gnu Emacs and the Gnu C compiler. He also wrote the lyrics to a hymn about free software. 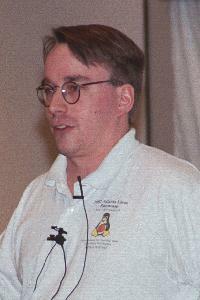 Linux started in 1991 as a pet project from Linus Torvalds. The biggest accomplishment of Torvalds is not the fact that he brought us the Linux kernel, more likely it is the fact that he was the first to start using the bazaar development model. Where would the Internet be without Jon Postel? There is nobody in existence who has written more RFC's than this "numbers guru". Why do we use TCP/IP port 25 for sending mail? Because Jon Postel said so. If anyone should be credited for creating the Internet, he's the one. It is really sad that he passed away in october 1998. 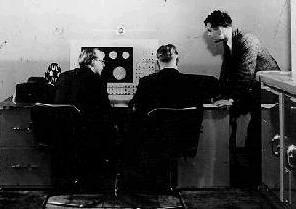 Alan Turing (rightmost in the picture) was a big factor at giving a mathematical foundation to computer sciences. He drew up the automaton now known as "the Turing machine" and was also responsible for "the Colossus", a military digital computer that was used by the Brittish army for decoding German cyphered messages during the second world war. While Alan Turing is probably the greatest computer scientist of the past, the greatest computer scientist of the present is most likely Don Knuth. His work in progress, The art of Computer Programming is the de facto reference for most topics concerning computer science. He also wrote the TeX typesetting system. The versioning of TeX inspired me for the versioning of these pages.